1. Geoff Tabin – Dr. Extreme » Change Myself. Change the World. GEOFF TABIN was on the cover of National Geographic Adventure this month for a relentless pursuit of excellence. He is curing the blind. Having already climbed the Seven Summits, Dr. Tabin helped developed a quality cataract surgery that can be performed in high volumes where basic vision care is non-existent. He travelled the world climbing the highest mountains and now he is curing blindness among the poor. 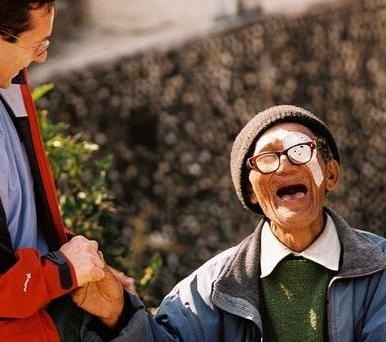 According to the article, 150 million blind people in developing countries do not need to be blind and Dr Tabin’s goal is to eradicate this as much as possible during his lifetime. 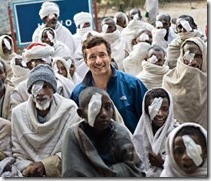 So far his Himalayan Cataract Project has restored site to 500,000 people in the countries neighboring the Himalayas. He can operate in 6 to 7 minutes at a low cost with excellent results and can perform as much as 80 surgeries in a single day. In a developing country every surgery is one more adult that can work or one more child that can use their eyes for the first time. His most recent recognition was in San Francisco where he was named an "Unsung Hero of Compassion" in a ceremony featuring remarks by His Holiness the Dalai Lama.